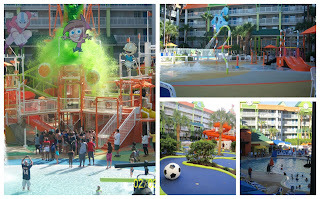 7 Kids and Us: Come Celebrate Nickelodeon Resort Suites Hotel's 8th Birthday! 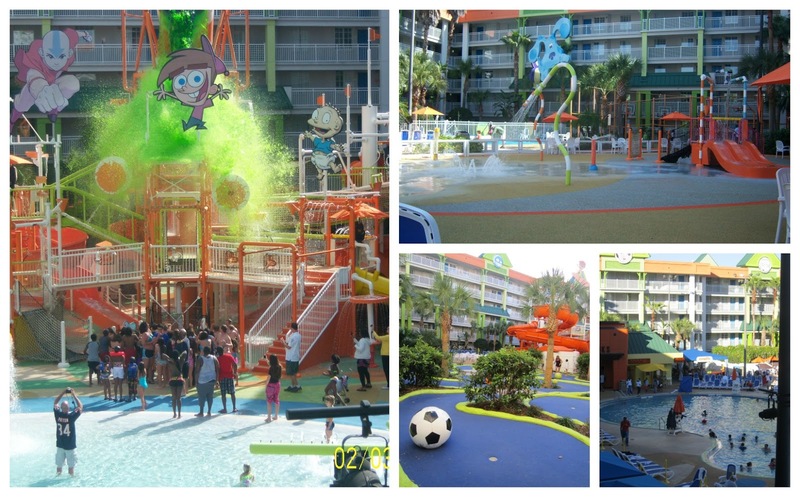 Come Celebrate Nickelodeon Resort Suites Hotel's 8th Birthday! 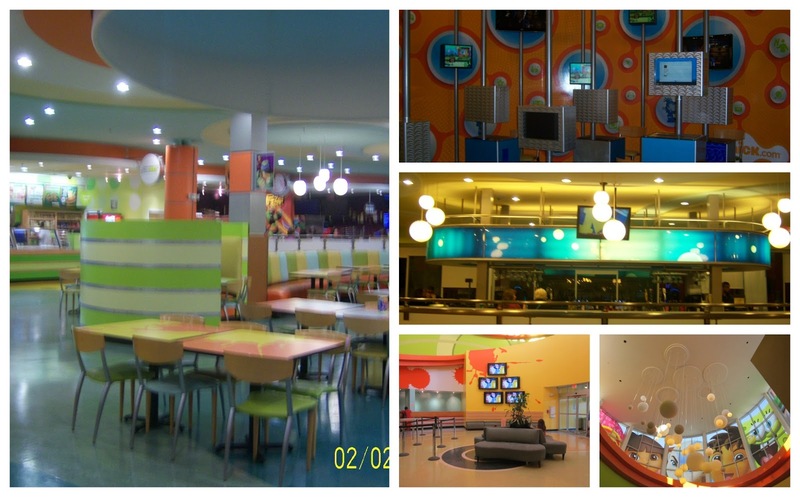 Nickelodeon Hotel is Celebrating their 8th Birthday and they have added 8 NEW cool reasons why you should visit Nickelodeon Suites Resort Hotel! 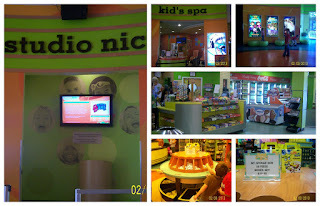 Nickelodeon Suites Resort Hotel now has an area which you can "Celebrate Birthday Surprises" so why not plan a birthday vacation for your little ones at the Nick Hotel. You can star in Double Dare Live which families get to come up with a cool name for their team (teams are picked earlier in the day by the pool, so make sure to register by 2:30pm at Guest Services). Teenage Mutant Ninja Turtles Pizza Dinner (This costs a little extra with stay) is a meet and greet of the TMNT and you get a cool mask just like a Ninja Turtle! A new show with Dora the Explorer, Geo and Milli from Team Umizoomi. My kids love to sing and dance when these shows come on Nick Jr so to see them in person is such an amazing experience for them. 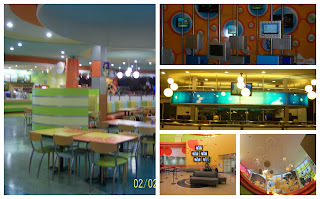 An all new 4-D movie staring SpongeBob SquarePants in The Great Jelly Rescue. This cost a little extra with your stay. Inaugural Summer Kid's Camp, and finally "Character Celebration Weekend" which a lot of your favorite Nick Jr characters come to meet and greet guests! 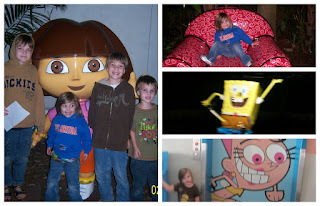 My kids loved meeting Dora and SpongeBob. They have 8 Characters that Live at the Nickeldeon Suites so who knows who you will walk into. Looking for a great place to stay in while visiting Orlando, FL? 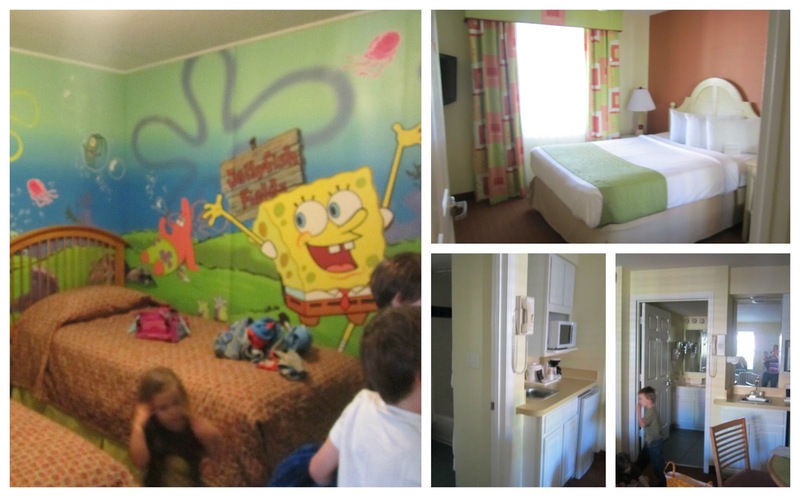 Check out Nickeloden Suites Hotel! This is unlike any other hotel you have ever been to. What makes it different? Lets start with the rooms. Every room is a suite so this means you have space! 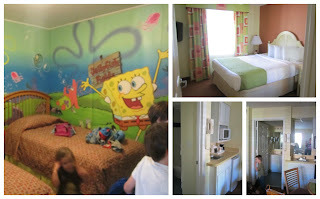 I was able to have my husband and 5 kids in one room while staying at the hotel. I ordered a crib for our room which they brought and I placed at the bottom of my sons bed. We all slept great. It was me and my husband in the master, Joshua and Elizabeth in the singles, Sarah in the crib and the boys Michael and Brian on the pull out (which was awesome for them they have never seen one) so it was a perfect fit. Now onto the hotel. 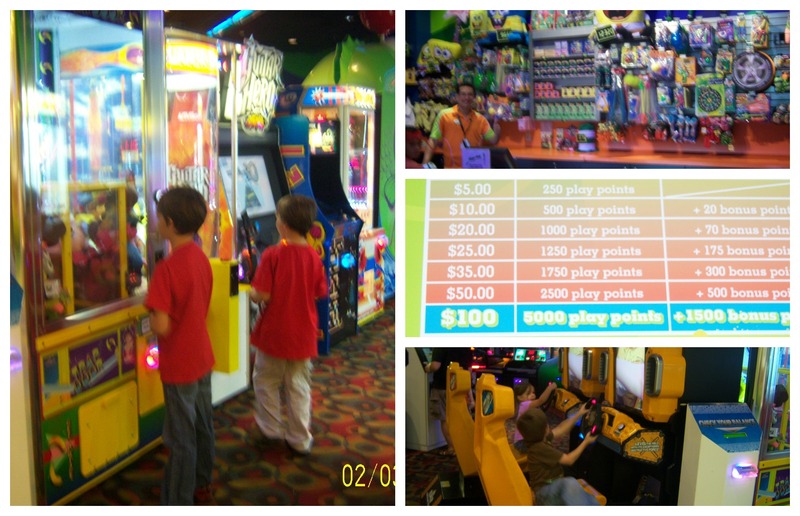 The best day to truly enjoy the hotel is on a Saturday, they have so many activities that you can stay all day and not get bored. 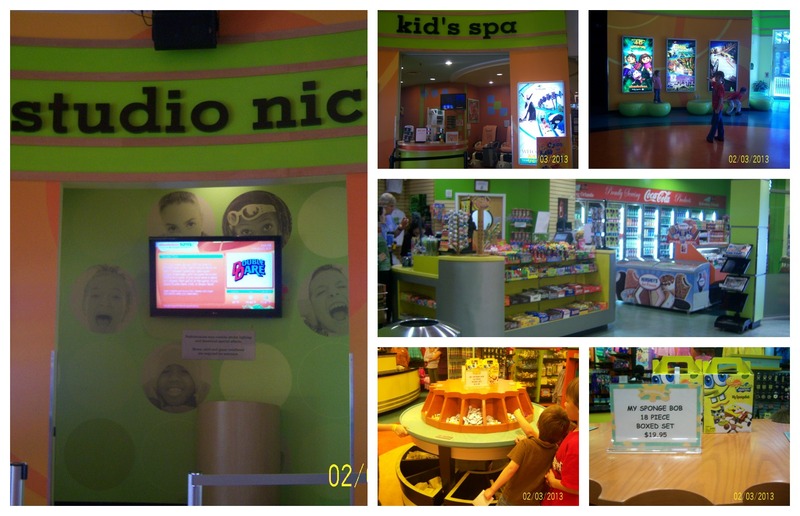 You can meet all kinds of your favorite characters from Nick Jr like, the Rugrats, SpongeBob, TMNT, Dora and more. 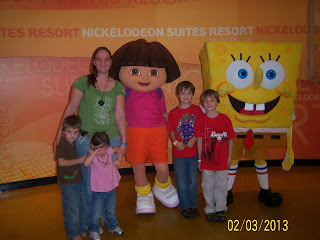 My kids and I went to meet Dora and Spongebob which they were overly trilled to see. On top of meeting the real characters they have still figures around the mall where you can take pic. We got to take pics in the "Thinking Chair" from Blues Clues along with Dora and then they had Spongebob, Patrick and Tommy and Chucky from the Rugrats out in the water.